Continuing with our product diversification and international expansion strategy, MECO launches its new machinery website. A much more intuitive, modern site, with easy-to-access content and information, and with renewed information about all our products. 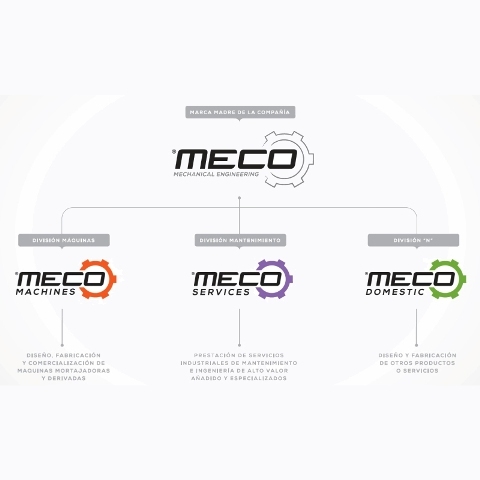 MECO is a highly diversified company, with 3 clearly differentiated divisions (MECO MACHINES to manufacture machines, MECO SERVICES for industrial maintenance and engineering, and the new MECO DOMESTIC, engaged in products for the end user). This year, 2014, MECO presents the new MECO MACHINES division, engaged in the design, manufacture and marketing of precision grinding/paring machines, bottom crimping machine, portable boring machines and the multi-perforator for large granulator dies and special tailor-made machines for the customer. It will also present MECO SERVICES, the corporate division responsible for providing specialised industrial engineering and maintenance services with high added value. Finally, MECO will launch a new division called MECO DOMESTIC, engaged in the design and manufacture of other types of products for the end user. All these 3 divisions form part of the global brand, MECO MECHANICAL ENGINEERING, with headquarters in Valls (Tarragona) and where all the products that we market are manufactured in their entirety.